As many of you know, irises are my favorite flowers. Whenever one appears, it is a sign that I'm on the right path, so keep on taking a step in that direction, one day at a time. Temperatures have dropped here in Florida this week due to the cold snap. When I opened the curtains on the porch this morning, what a happy surprise! 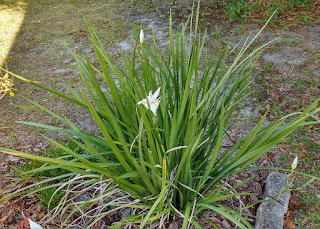 Two snowy white African irises had bloomed. And, three more tight buds, warming up in the chilly sunshine, showed promise of making a debut. Although the photos don't capture the essence of their beauty, the timing of these floral messengers goes straight to the heart. 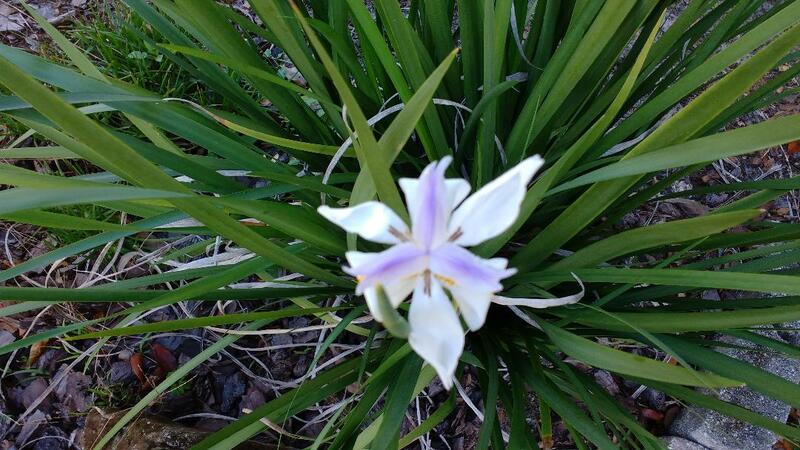 These African flowers last only one day. 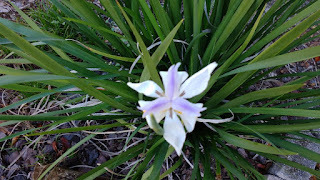 And, loving hot weather, they don't usually bloom in the winter. In light of these circumstances, it seems their message is to make today count wherever you find yourself. Show up and do your best regardless of the weather. Don't waste today; respect others and show them how much they mean to you. "Bloom where you are planted." 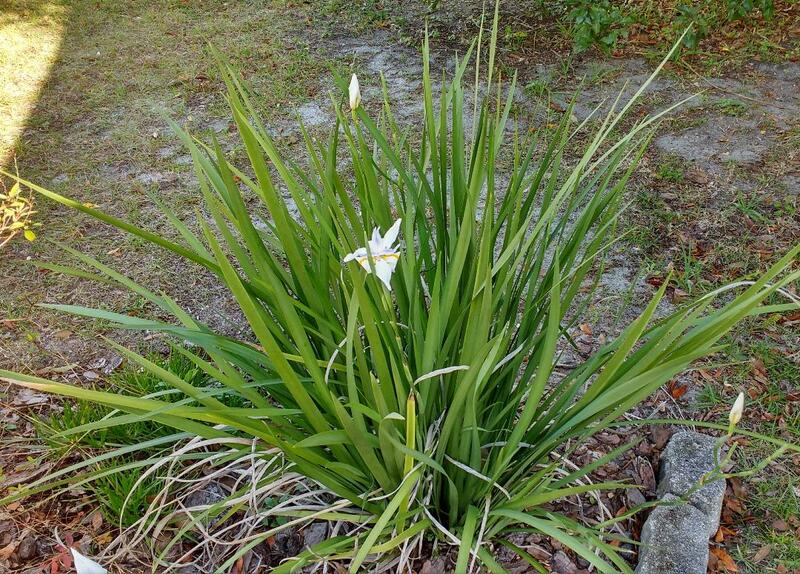 Iris represents faith and hope for a better tomorrow, and also symbolizes eternal knowledge. White is the color of purity and innocence. The purple marks represent spiritual intuition, and yellow is the color of faith. Have a joyful day with the Angels. And, celebrate your gift of Life.